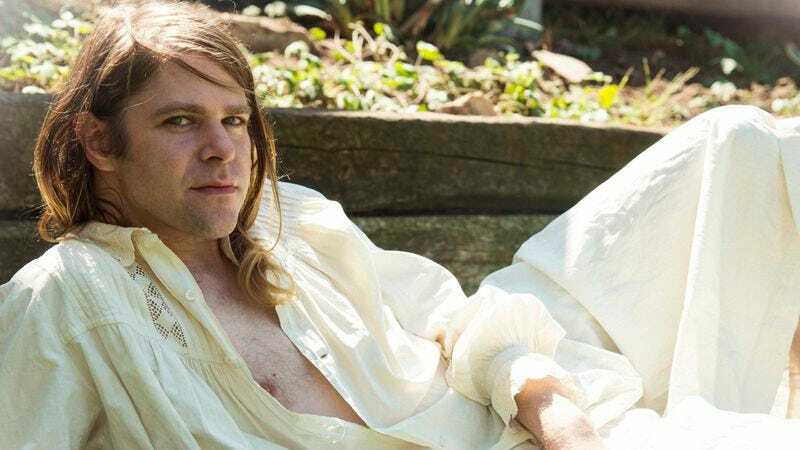 Ariel Pink was probably the prototypical home recorder of the ’00s on his Haunted Graffiti series of albums. He swore allegiance to R. Stevie Moore while nodding to Daniel Johnston and Guided By Voices by virtue of his melodic instincts alone. He favored inchoate pop gems obscured by tape hiss and rudimentary technology before blossoming into something of a studio virtuoso at the outset of the ’10s on his 4AD debut, Before Today, and later on 2012’s Mature Themes. His newest LP, Pom Pom, finds a sweet spot between his ornate studio creations and off-the-cuff home recordings, aesthetically wacky at a level listeners haven’t heard from him since his nascent days, with bursts of both pathos and vulnerability. While billed as a solo album sans the Haunted Graffiti tag, it’s one of Pink’s most collaborative works to date, featuring appearances from Kim Fowley and Jorge Elbrecht of Violens. Opener “Plastic Raincoats In The Pig Parade” finds Pink in Sgt. Pepper’s exploratory mode, with a dash of Kevin Ayers lysergic proclivities circa Joy Of A Toy thrown into the miasmatic kitchen-sink mix. Written with Kim Fowley while the legendary producer battled cancer in his hospital room, the track does what Pink does best: recombines myriad styles and influences into something distinctly his own. 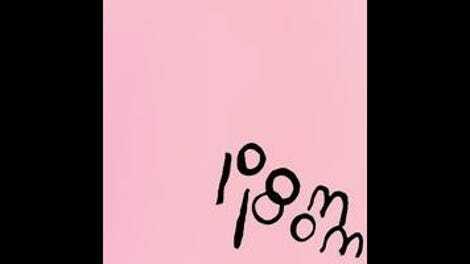 With its vast stylistic terrain, Pom Pom feels at times more like a singles collection than a cohesive album, which isn’t to its detriment. Modern antecedents include Of Montreal’s Skeletal Lamping and Fiery Furnaces’ Blueberry Boat. But that’s not to suggest Pink’s signature idiosyncrasies aren’t present. There are bizarre, seemingly extemporaneous digressions, like on the licentious “Sexual Athletics,” when Pink impishly implores, “Let’s go to the emotional Olympics,” to a round of background boos, or the frivolous “Jell-o,” also co-written with Fowley, which finds Pink with a food infatuation on par with a Robyn Hitchcock fever dream. The album craters deeply into Pink’s psyche, but paradoxically, as on all of his records, it feels as though it’s just scratching the surface of an artist with a bottomless well of ideas. Occasionally on Pom Pom, Pink comes across like a magician who’s played his tricks alone over and over again alone until he’s mastered them, and while others may be awed, he can’t help but seem a bit bored. He finds his greatest successes when he comes clean without obfuscation, as on the closing torch ballad “Dayzed Inn Daydreams,” plaintively confessing, “The story ends untold / My will survives in a thousand future lives / And with that, I bid it adieu.” Here Pink fitfully, and brilliantly, attains what was anathema to him earlier in his career—universal connectedness.